Chansons was a series of 13 musical programs highlighting Canadian folk songs old and new, filmed in color against some of Canada&apos;s most attractive scenery coast to coast. The series was originally telecast on SRC in the summer of 1966 and on the English language CBC network during the 1966-67 season as a musical salute to the Canadian Centennial of Confederation. Each program originated from a different place, and featured musical numbers appropriate to the scenic location in which they were set. 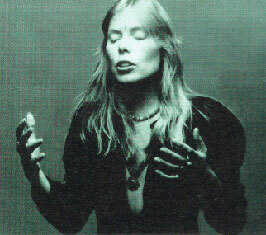 The two programs featuring Joni were broadcast on Nov. 10, 1966 & Feb. 9, 1967.